The first thing to remember is that drug addiction or alcoholism is a complex illness. It’s characterized by intense and uncontrollable drug cravings. These cravings cause irrational, compulsive drug seeking behaviors. So, it only makes sense that going to rehab, is not going to be easy. The second thing to remember is that drug and alcohol problems don’t make a lot of logical sense. It’s very confusing to watch someone you love to act in a way you don’t recognize. The disease of addiction affects the entire family (including loved ones). Sometimes, I feel that the people closest to the addiction can be hurt more than the drug addict. That’s because typically you’re not getting “high” to deal with the pain. Verify every detail. Don’t trust what you are told. The addict will lie and manipulate every chance they get, despite the consequences. Remember, your loved one is not a bad person — just a sick person. When your loved one is going to rehab – count on everything you are being told is not going to be the truth. Drug and alcohol abuse wrecks all aspects of a person’s life. Treatment is not simple or easy. Most good things aren’t. You and your family will be tense, scared and guilty. You may even start to question if what you are doing is right. When you feel this way, calm down. You can call us for support. You might also want to read about what to expect in the first few weeks of rehab. We are familiar with the process and will guide you to make the right decisions. Get your loved one into treatment as soon as possible. Take this serious. The drug addict can easily change their mind. Actually, this is very common, especially if they start to have withdrawal symptoms. Be prepared with all the details. Have transportation ready to take them directly to the facility. If you are working with us, you should be constantly speaking with Bruce or Victoria at this stage. This is the high-risk time when your addicted loved one will try to run. This is very common, so don’t be discouraged — just be prepared. Forcing a person into treatment is still going to be effective. If the recovering addict is enrolled in a program that starts in a few days, they may need to stay with you. If this isn’t possible, just make sure they have a safe place to stay. It is important that they stay away from their old “friends”. Families can play a loving role in this task by providing some guidance and a place to sleep. 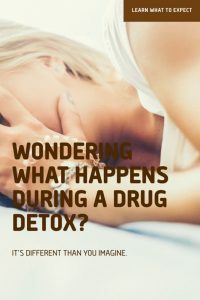 Detox can be very painful and sometimes extremely dangerous. If you are not addicted to alcohol, but occasionally drink, I suggest avoiding it for a while. At the very least, refrain from drinking in front of your loved one. This doesn’t have to be forever, just in the beginning when the cravings are the worst. Hide, all of your medicine, credit cards, and other valuables. I know this sounds harsh, but cravings can make a person do very bad things. During the first stage of the recovery process, known as detox, the recovering addict may experience many unpleasant symptoms, including physical illness, insomnia, excessive lethargy or increased appetite. 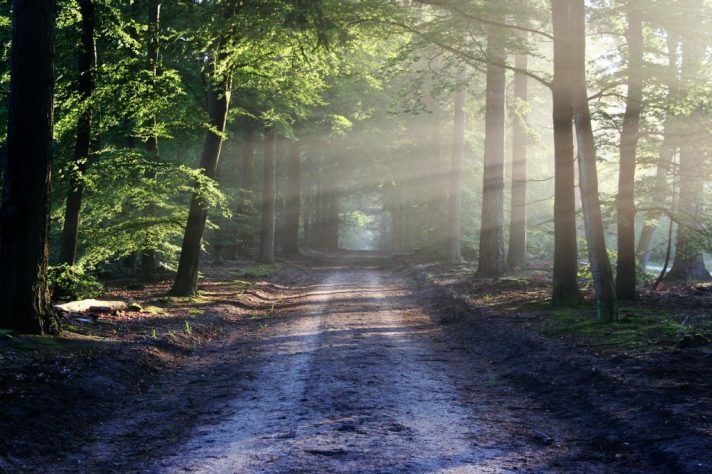 Going to Rehab – A few tips to can be helpful. Try not to rehash old hurts. Don’t allow them to have a cell phone. Don’t listen to anything they say. Treatment programs can last anywhere between 30-days to 6 months. A three-month stay is very common. This is not going to be a quick and easy process. Treatment isn’t over when the substance is out of the system. Working on the underlying causes of addiction is critical for providing long-term recovery and sobriety. Longer treatment programs allow the addicted loved one to take their time, work daily with experts and learn ways to cope with addiction. That’s why we almost always recommend 90-days. However, the duration of the rehab stay should always match a person’s individual needs. Will drug and alcohol treatment work? Treatment does work, but there is no permanent cure. The treatment center will provide an after-care plan. If your loved one messes up, don’t panic. This can happen and it does not mean that the treatment didn’t work. Experts have found that a relapse can serve as an important opportunity for learning. It can help the recovering person and other family members identify what triggered the relapse in the first place and determine ways to avoid it in the future. If a relapse happens call your referral counselor immediately. This is the most important thing you could do. They are familiar with this circumstance and can help get the person back on track. 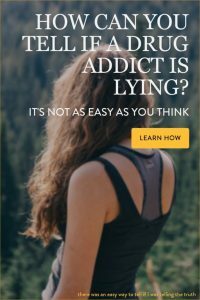 Addiction creates an overwhelming and dangerous situation for you and your loved one. Don’t hesitate. I know that change is scary, but you don’t have to do it alone. 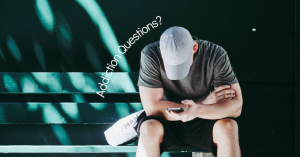 Do you have question about addiction or something else? Is Alcoholism and Addiction a disability?